Editor’s Note: The Alabama State Championship was held the first weekend in May, 2016, on the Alabama River near Prattville and at Lake Jordan, 40 minutes away. 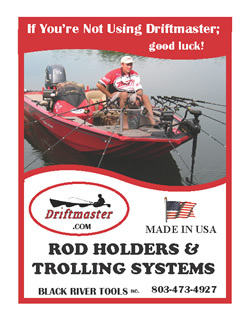 Both places hold plenty of crappie in them. Scott Williams of Cochran, Georgia, and his dad, Billy Williams, won the championship by fishing Lake Jordan. Here are the critical aspects that Scott Williams says produced the win. “If I had to pick the one ingredient that makes the biggest difference in fishing lakes and rivers, it would be the amount of current present and how often that current runs,” Scott Williams explains. 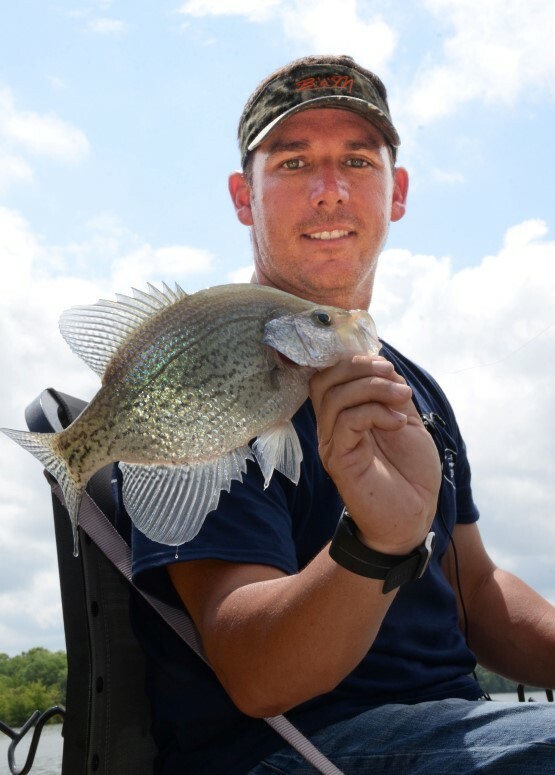 From this tournament, the Williamses learned that water temperature, the timing of the spawn and the targeted species play major roles in the decision of whether to fish lakes or rivers for crappie at certain times. Another major difference in fishing for crappie in rivers and lakes is that the bottoms of rivers, including drop-offs, ledges, brush piles and logjams, will change much more often than that of lakes due to current and weather. 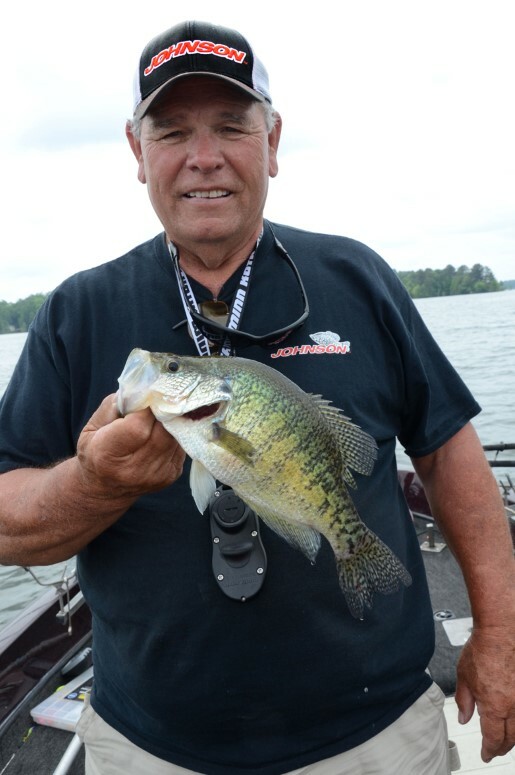 The Williamses have found that the primary difference in fishing success on a lake or a river is the way current affects crappie. Rivers have some type of current running at all times, so river crappie will be more predictable in how they act, and where they’re positioned than lake crappie. Lake crappie receive intermittent current, depending on when the dam or the power plant at the head of the lake decides to release current, and how strong that current is. 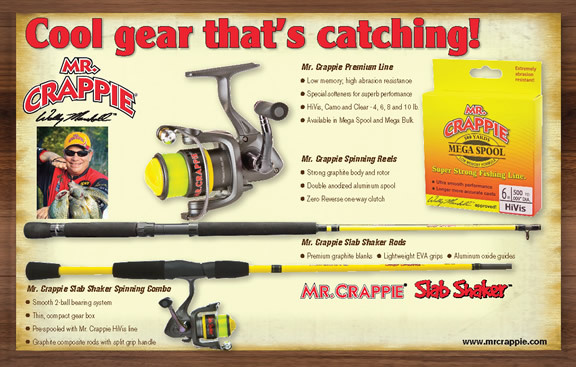 In a river throughout most of the year, crappie usually will hold anywhere there’s a current break along the river channel or a major creek channel and let the current bring the bait to them. 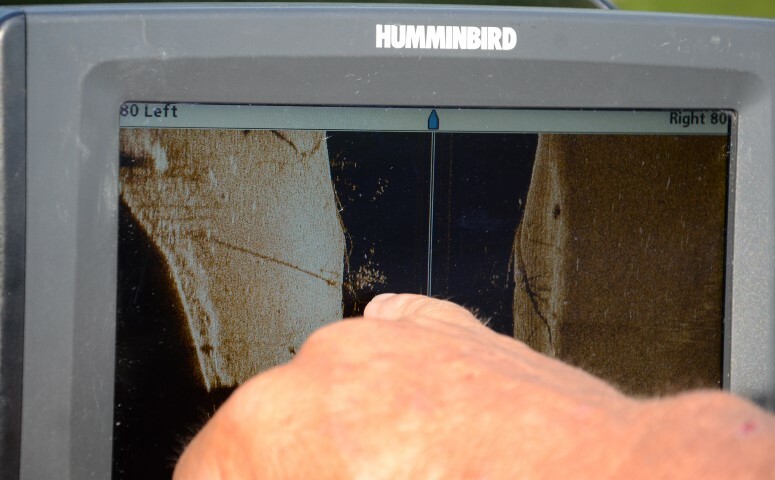 Veteran crappie fisherman Billy Williams, pictured here, relies heavily on his son’s Scott’s knowledge and experience using the Humminbird side-scanning depth finders. In January and February, river crappie will move from the mouths of creeks further up the creeks, searching for shallow water when they’re waiting on the water to warm up. Then they’ll move into shallow water and spawn. On a lake, the spawn will start on the north end of a lake because warmer water will be there. In a river system, the water temperature will remain about the same. Wherever you pinpoint crappie spawning in creeks that feed the river, you can travel 5-10 miles down the river and find crappie spawning in the same places in other creeks. “In the Southeast where I primarily fish, you rarely ever see a difference in water temperature for miles and miles down a river, but in a lake, the water temperature may be drastically different on the north end of the lake as compared to the southern section of the lake,” Williams says. The drainage systems that form the river you’re fishing also play a major role in water temperature and when and where crappie will spawn. For instance, since the Mississippi River starts in the far north of the U.S. and runs all the way to Louisiana, the water there in the spring generally will be cooler than a river system that starts and ends in Louisiana. The Mississippi River crappie generally will spawn later too. In the Southeast, crappie in rivers often will move off the main river channel and into creeks to get into back waters with their shallow spawning flats to spawn much earlier than lake crappie. Lakes don’t have those big, shallow, backwater areas that rivers do. Rivers are fed by many creeks, making the river water much dirtier and warmer than lake water after a rain. River water also for the most part clears up faster than lake water. “When I put out brush piles in rivers, I’ll use up to about 300 pounds of weight to hold each brush pile in place, due to the strong current in rivers,” Williams explains. “In a lake, you don’t have to use as much weight in a brush pile. Identifying places to put brush in lakes is much easier than in river systems, because in lakes, you can put brush out on points, ledges, flats and other bottom breaks not generally found in rivers. “Lakes often home many more current breaks than river, and the bottom terrain is usually much different than that in river systems. I generally sink hardwood trees in 16 feet of water, whether I’m fishing rivers or lakes, since that’s the depth I’ve learned where crappie want to hold in the hot summer and the cold winter months.